The Cole and Son Ardmore Jabu print colourway 109/3017 is one of the softer bolder of the five colourways in the Jabu print. 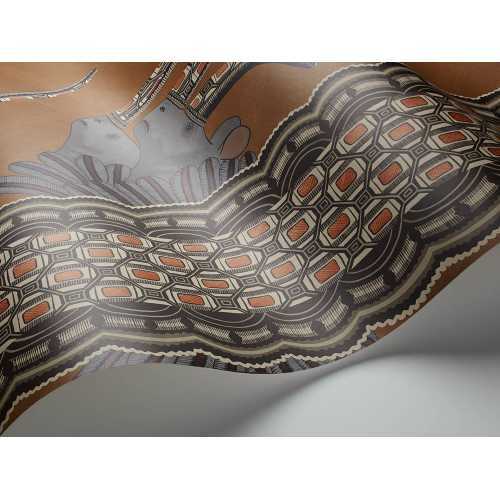 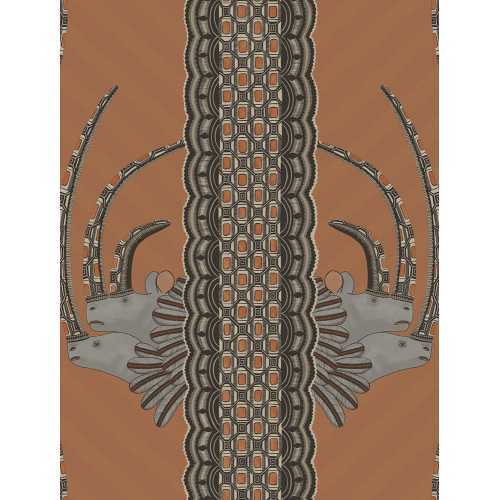 This wallpaper contains a true African spirit with its patterning reminiscent of Zulu basket weaving and is presented in five striking colourings. 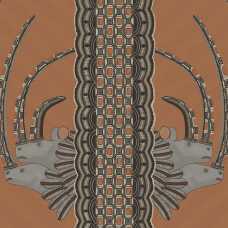 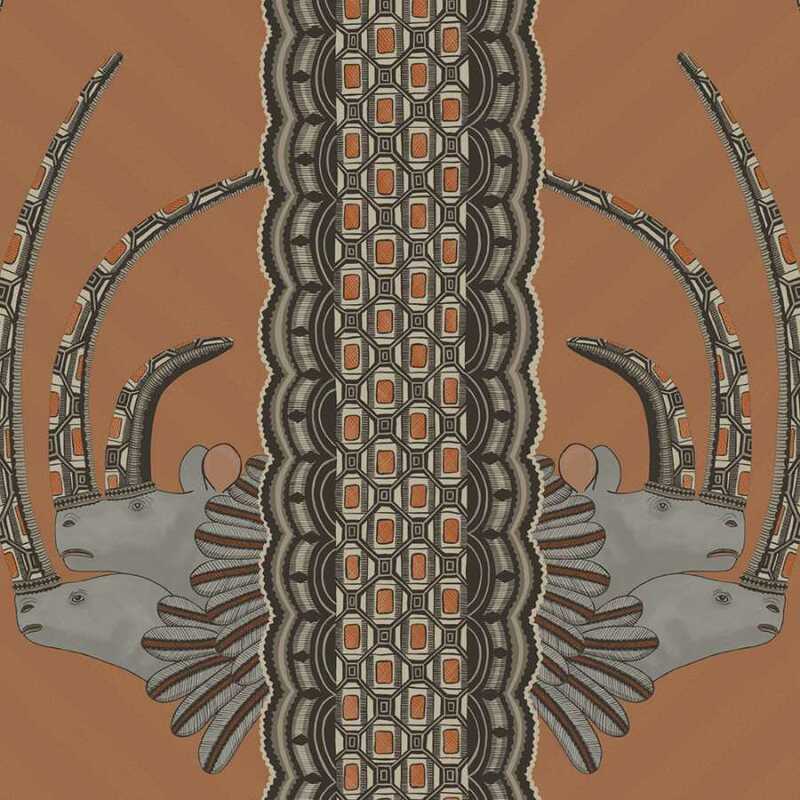 The Jabu 109/3017 consists of a contrasting colour palette of a brown/ orange, two-toned backdrop and a blue/ grey feature stripe and rhino head pattern which also features orange in the form of small circles. 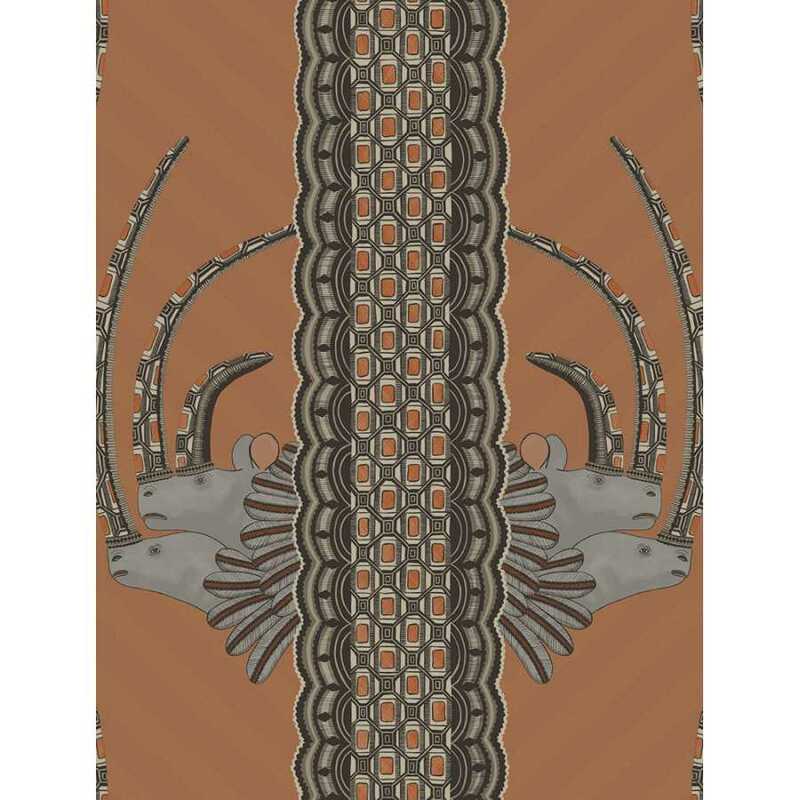 The use of a diagonal striped background draws your eye to the bold African motif/ pattern and takes your eye around the wallcovering. 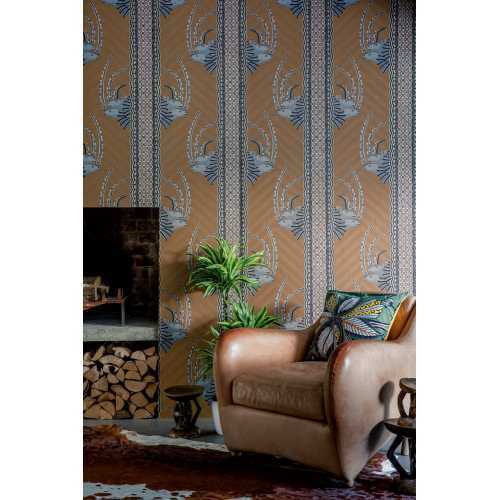 This wallpaper contains a true African spirit with its patterning reminiscent of Zulu basket weaving and is presented in five striking colourings.